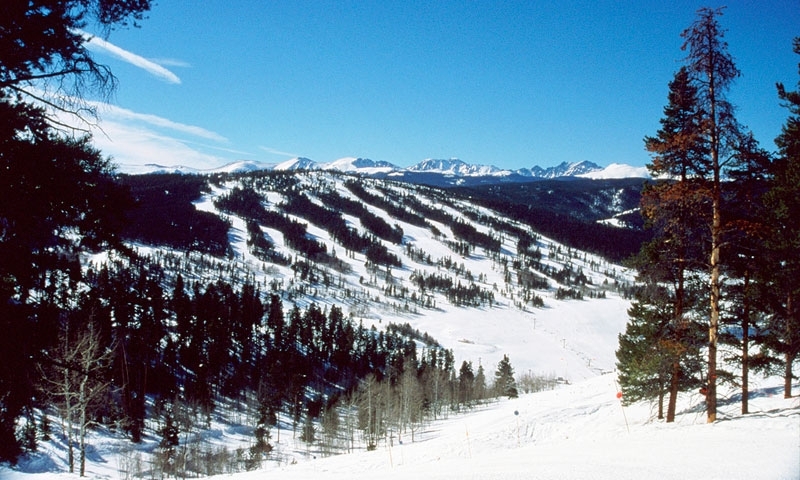 Granby Ranch Ski Resort, otherwise known as Solvista Basin, offers a variety of downhill slopes, a cross-country trail system, and a base lodge with multiple dining options. Granby Ranch Ski Area offers its guests a rare mix: varied terrain for beginners, intermediate and advanced skiing/riding, panoramic views of the Continental Divide, two connected mountains that both filter to the same base, making it nearly impossible for anyone to become involuntarily separated from their group for long periods of time, and a cross-country trail system at the summit that can be accessed via a meager $5.00 lift ticket! A three-story lodge at the Base, with a full service bar and outside patio seating, provides multiple dining options: the Higher Grounds coffee shop, a cafeteria, and the Seven Trails Grille, known for its gourmet pizza and wide variety of cuisine from around the world (French, Italian, Moroccan and North African), as well as live music, happy hour specials and killer views of the slopes. From Winter Park, drive North on US Highway 40 toward Granby; before you get to the light adjacent to the City Market (on your left), you'll make a right onto Village Road. (Look for Granby Ranch signs.) Drive about two miles up Village Road and you'll come to the Granby Ranch base area. It's about a 25 minute drive from Winter Park. Ski Season typically runs from mid December to early April. The slopes are open from 9 a.m. to 4 p.m.
Full, half day and multi-day lift tickets are available, and prices vary in accordance with each of its three seasons; please see the 'Lift Tickets' section for full details. You can opt for ski and boarding lessons from their learning center; for more information and to make reservation, call 800-757-7669. A rental shop is within the Base lodge, offering ski and snowboard rentals, boots, along other equipment and retail items.